Our mission is simple: create custom-sized, ultra-portable, and fully weighted keyboards that best fit your personal needs. 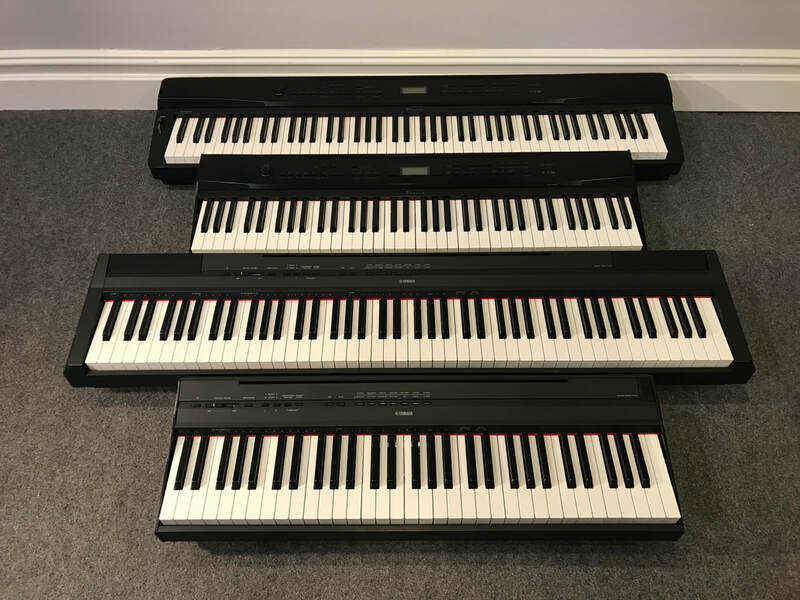 New 49 Key Fully-Weighted Hammer Action Keyboards Available! Choose from a selection of pre-finished keyboards that are ready-to-ship. ​customizable to fit your personal needs. The keyboards we modify not only become more portable, but they also take on a unique look with the custom wood side panels we hand carve. "I have wanted a keyboard this size my entire life. I am extremely satisfied with my purchase. Thank You!" "In brief, this is exactly what I was looking for (and have been looking for years!). Luciano's workmanship is careful and precise. He discussed carefully with me my needs and the features I wanted. He under-promised and over-delivered, both in terms of the product and his service." "I love these keyboards! Finally a weighted keyboard which is easy to travel with. I have two, a 61 and a 49 key. I can take them with me anywhere and the sound and feel is unbelievable. I am so glad to have found your company." Minetti Custom Keyboards, MCK, is a family owned business created by father and son Rino and Luciano Minetti. As professional pianists, we recognized the need for an ultra-portable, travel friendly, and fully weighted keyboard. We have developed custom keyboards that are smaller, lighter, and more portable. For any inquiries regarding the customization of a keyboard, please contact us. ​Please allow 24-48 hours for a response.